Thank you so much for taking the time to look at our profile and consider us as an adoptive family for your sweet baby. There's so much we want to say to you, we wish we could just go out for coffee and truly get to know each other! But if I have to condense everything we want to say onto this page I want to start by saying that we admire you, you are brave, and you matter! 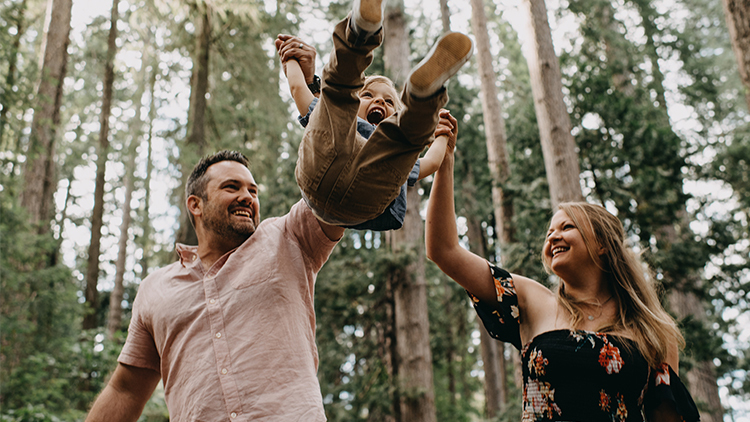 In our culture people like to talk about adoption stories, but they tend to focus on the new family that is created as a result of the adoption. We feel passionate that the birth mom and dad are the real heroes, and should continue to be honored and lifted up for their selflessness. We wouldn't have our son, who is the absolute joy of our lives, without his birth parents and we will never speak anything but praise about them as he grows up. We have also made it a priority to continue to consider their needs and desires in whatever ways we can. Whether you choose us or not, I pray that you find an adoptive family that not only loves your baby to peices, but also cares for YOU, because you matter. We live in a college town in central Oklahoma where we both attended school. We met after Jeremy had already graduated from college, and around the time I (Nicole) was finishing my degree. Jeremy is a pastor, and I am a part-time photographer and stay at home mom to our only son, Jax. I have cut down quite a bit on work since adopting our son, I only schedule occasional shoots when my husband can be home and I edit photos after Jax goes to bed. Being home and present with our family is a huge priority to both of us. We love planning family outings and adventures, and have a huge backyard and a great park in our neighborhood for playing outside when the weather is nice. We are friends with several families on our street and the streets around us, including families with adopted children who have stories similar to our sons. We are so glad that he has friends his age that he will be able to relate to regarding adoption as he grows up. We also love having family game nights and movie nights on the weekends. We have always dreamt of having a big family, full of both biological and adopted kids. We even talked about adoption on our third date, it has always been close to our hearts! Building that family has been a much longer road than we ever thought. We have been through over 10 years of failed fertility treatments and tried to adopt internationally for years, but that didn't work out either. We tell you this not to make you feel sorry for us, but because our story has made us better parents. Because our road to starting a family has been so long and tough, I can honestly say that we savor every single day with our son. Our appreciation for getting to be parents is so much deeper because of what we have been through and how long we have waited, and hopefully our son feels more loved because of it. Good luck on your journey, whatever your choose, and know that you are amazing, even if you don't always feel like you are!